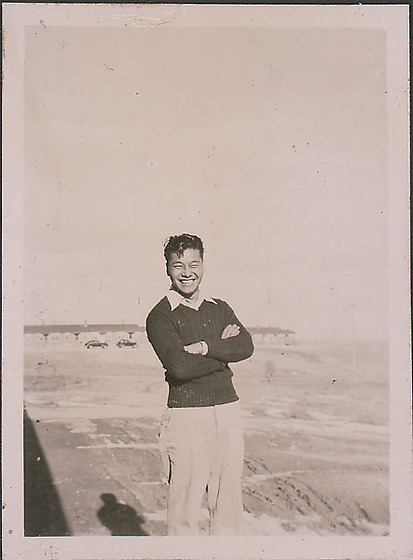 A smiling young man stands with arms crossed at chest in open area at Heart Mountain concentration camp, Wyoming, 1944-1945. He is dressed in a dark sweater over a collared shirt and light pants. His shadow is visible at BL edge. Camp barracks in distant background.